As someone who cares deeply about the way commonly misunderstood groups are represented in fiction, it’s always so joyful to hear about when people from underrepresented backgrounds are given opportunities to write their stories. 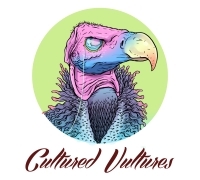 Recently, I keep coming across more and more anthologies featuring the work of underrepresented groups that are coming out this year, so I wanted to share some of those with you. Anthologies don’t always seem to get the publicity they deserve, so it’s been intriguing digging around to find books for this list. I’ve been excited about this book since hearing about it last year. We’ve been needing this anthology for a very long time. Disabled people get left out of so much. Even with all the progress that’s been made with diversity, people often leave disabled people out of what they consider to be diversity. Unbroken features thirteen stories, all of which are Own Voices, which means that they are written by an author who shares the same identity as the character. All the stories are aimed at teens, who really need to be seeing more of themselves in stories. I am so looking forward to this book. It’s being editing by Marieke Nijkamp creator of the website DiversifYA. Contributors include Disability in Kidlit founders Kody Keplinger and Corinne Duyvis, as well as Disability in Kidlit editor Kayla Waylee. So not only are these authors disabled, but they understand a great deal about disability representation in fiction. So many people have mental illnesses, yet so many other people still try to claim they’re not real. This book is a collection of essays, where authors share their experiences of mental health. In a time when mental health is impacting people more than ever, conversations about it are so important, to make people feel like it’s something they can talk about. Many of these authors are people readers will have heard of, so having their voices in the mental health conversation will hopefully bring a lot of good. The collection is edited by children’s author Jessica Burkhart and, as I’ve already mentioned, has a cast of well-known contributors. How many fantasy novels have you heard of or read that are set in or inspired by the West? I love getting lost in an imagined world as much as anyone does, but one of the shortcomings of the fantasy genre is that most books seem to find the Western world the most suitable place to draw from for their worlds. But as we’ve been seeing in more recent years, great stories can be told in the East. This anthology is a collection of young adult fantasy stories based on South Asian and East Asian mythology and folk law. It is written by authors who come from the region and have each shared a story that takes its inspiration from Asia. 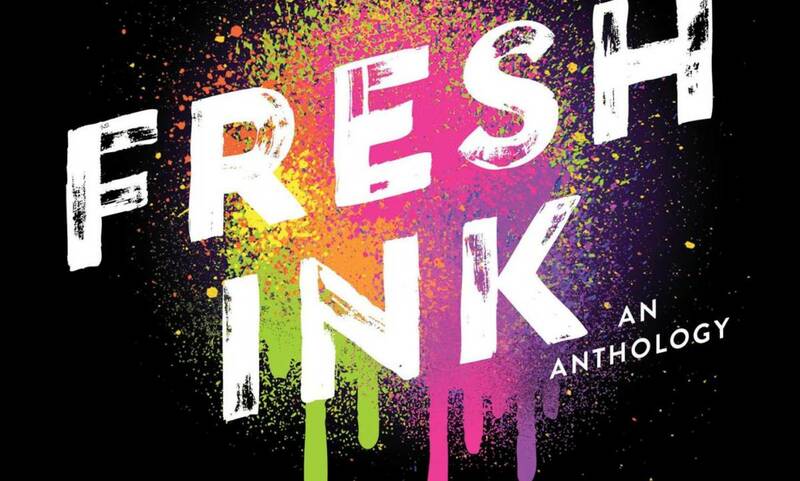 Fresh Ink is being produced in collaboration with We Need Diverse Books and will feature ten short stories, a graphic novel, and a one-act play. From reading early reviews, it seems the contributions in this anthology span multiple identities and includes some intersectional representation. This anthology is edited by YA author Lamar Giles, who was a founding member of We Need Diverse Books. We Need Diverse Books designs their anthologies with schools in mind. So with its August release, hopefully children can look forward to going back to school to find an exciting new diverse anthology in their libraries. It would be unfitting in discussions about underrepresented groups to not talk about activism. We have the awareness and platform we do today because of activism and I have no doubt that great activism will bring much success in the future. How I Resist aims to address the question of how to make change. We know change is still needed, but how do we go about it? This anthology aims to tackle that question, with contributions from a range of people. It also delves deep into the concept of resistance, covering both big and small ways of participating in activism. It’s not always possible to change the world, but it’s often possible to change a small part of it. Edited by author Maureen Johnson, this book will provide valuable insight into how to make social change. This anthology is all about the stories of refugees and is filled with writers who have all had to leave their home. With the UK’s exit from the European Union having an impact on immigration and American president Donald Trump’s very negative attitude towards immigration, it is a topic that receives much negative media attention. Often the media neglects the fact that there are actual humans whose lives are greatly impacted by all this politics. This anthology serves to share with readers the people who are impacted by the current political situation and in general by the experience of immigration. Edited by author Viet Thanh Nguyen, this book will tell the stories behind the numbers often thrown about on the news. This is a much-needed collection of writing about mental health and the impact it has. (Don’t) Call Me Crazy is well timed to fit in with World Mental Health Awareness Day, coming out just over a week before. This collection is being aimed at teenagers. With the teen years being the bridge between childhood and adulthood, it’s exactly the time where people may start to develop mental health issues and also the time at which they are judged most harshly by their peers. So with mental health stigma unfortunately still being a serious problem, teens really need books like this right now. Edited by Kelly Jensen, probably best known for being the YA editor of Book Riot, who is fairly active online about championing diversity. Also, the anthology features a mix of forms, with contributions in the form of essays, poetry, art and more, allowing readers to explore mental health in a range of mediums. If that title doesn’t get you excited, I’m not too sure what will. Disabled people are so frequently left out of science fiction, with the notion that disability won’t exist in the future. They fail to realise that it would be virtually impossible to eradicate every course of disability and besides, a great many disabled people have no desire to be cured. In Disabled People Destroy Science Fiction, written and edited by disabled people, disabled people will dive deep into science fiction. It is being edited by Elsa Sjunneson-Henry, a disability activist, and writer. Just a quick content note, unlike the rest of this list, this particular anthology is actually a special issue of Uncanny Magazine, so is only available online. I know it stands a little apart from everything else on this list, but it was too cool to miss out. I hope you’ve found something to get excited about in this list. I’ve certainly found out about some cool books while researching this. It’s great that there are so many anthologies out there and that we keep hearing about new ones, to the point that there’s probably anthologies I’ve missed. Also, I’m already starting to read about 2019 diverse anthologies, so it sounds like diverse anthologies are heading in a good direction. My name is Rebecca Thorne. I am one of those people who has always liked writing stories and poetry. I am also one of those people who loves nothing more than to be lost in a good book.